According to unnamed sources close to Yahoo News, Sony is gearing up for a big push to the next level of super-high-definition home entertainment, and is planning to have the unannounced PlayStation 4 lead the way by including support for Ultra HD 4K resolution. 4K resolution is already being used in digital cinematography, but is only now on the verge of making its way into consumer products. The 4K name comes from the horizontal resolution, which is approximately 4,000 pixels. In Quad Full High Definition (QFHD) this comes out to be 3840 x 2160, or double the 1080p HDTV standard of 1920 x 1080. Working under the assumption that this rumor about the PlayStation 4 is true, there are a number of problems with bringing 4K resolution into consumers homes that can easily be solved by spending mass amounts of money. The first, and most obvious, problem is that none of us currently have a TV capable of displaying Ultra HD 4K, which would be needed to take full advantage of the rumored PS4. Good news, those 4K TVs are on the way! Conveniently, Sony has an 80 inch LED 4K TV that is said to be releasing this Holiday season for about $30 large. 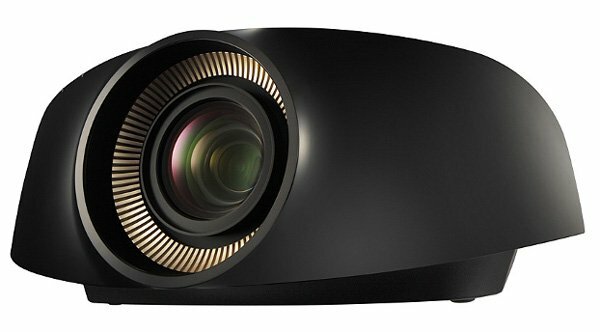 Those on a budget can save a few bucks by looking into Sony’s 4K Home Theater ES Projector (pictured above), which can upscale to 4K, for a cool $25 grand. If that still sounds like too much money, then LG has you covered with their upcoming 84 inch Ultra HDTV for about $22,000. With the display taken care of, the only thing left for the 4K gamer is to pick up that PlayStation 4. The bad news here is that it sounds as if you might have to “work more hours” to be able to afford the rumored next-gen console if it does output in native 4K resolution. Basically, the PS4 will have to use something much larger than Blu-ray, or use some kind of fancy HD-to-4K conversion. Otherwise we are going to be dealing with way too many disc swaps. Either way, this seems like another major cost to consumers. The last problem that the PlayStation 4 will have with 4K resolution gaming is the sheer horse power that will be required to run 3840 x 2160 content at a decent frame rate. Currently the PS3 is capable of playing games in 1920 x 1080 resolution, however, it is so taxing on the system that only a handful of titles actually run in native 1080p. I have no idea what is needed to run 4K resolution at 60 frames-per-second, but it doesn’t sound cheap. Despite all of this, I would not at all be surprised to see Sony go down this road with the PlayStation 4. Making really cool, but way too expensive, consumer tech is the only play in their playbook. This exact same plan didn’t work out so well with the PS3, or more recently the PS Vita. Why not try it again? This time on an even grander scale!